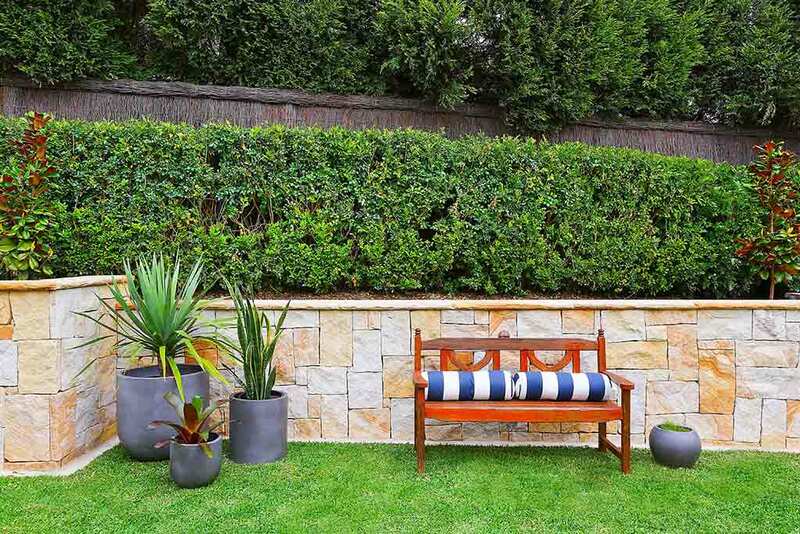 Our brief for this Glenhaven house was simple, make the old new again. 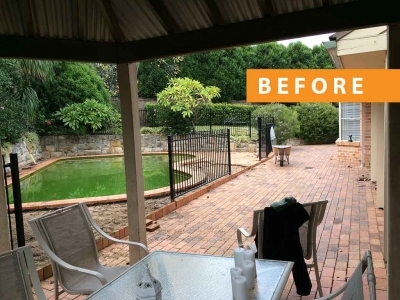 The existing backyard of this Glenhaven property was quite dated. Our project brief was to update the existed pool with new copping and tiles, as well as to open up the remainder of the backyard by leveling out the existing raised areas to create a larger backyard. 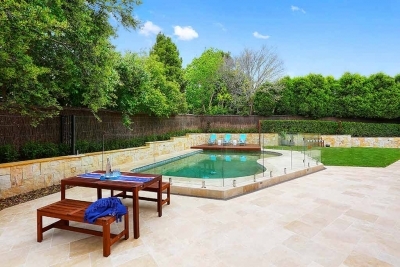 We removed 350m3 of soil from the backyard to create one large flat space around the pool area. 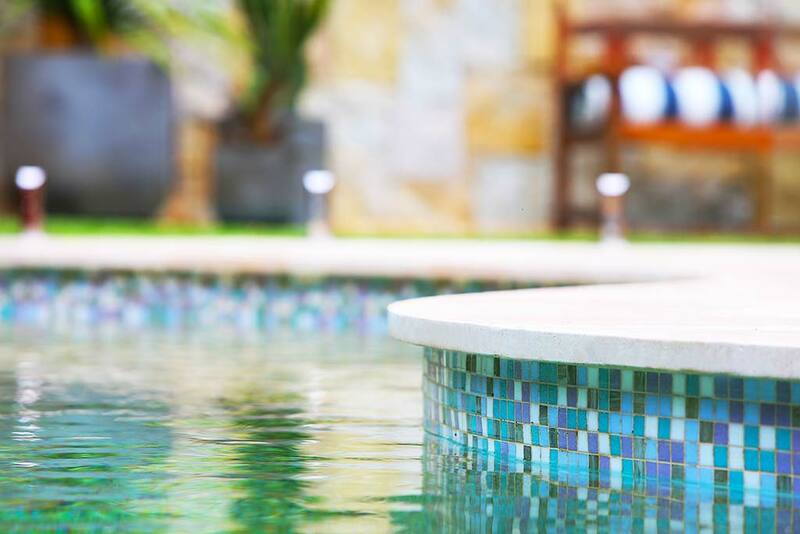 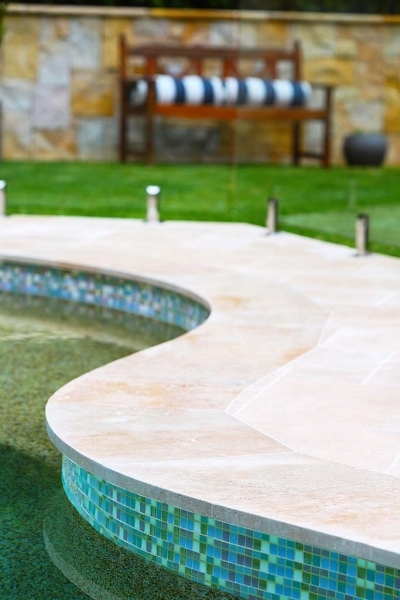 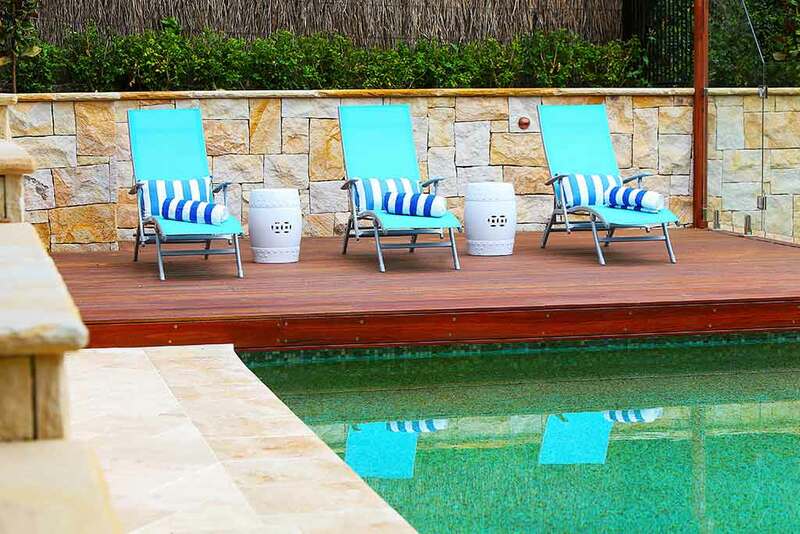 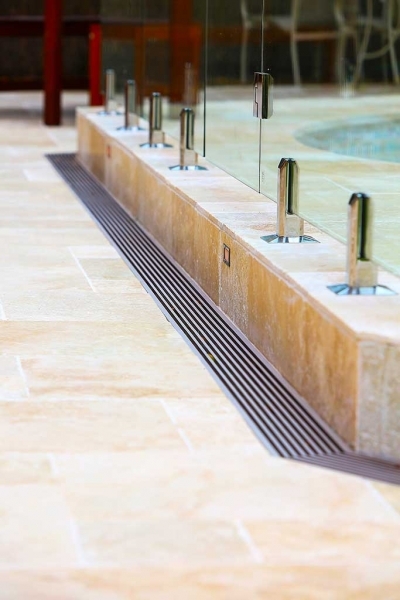 The pool area was renovated with travertine tiles, new Trend waterline tiles and a counter levered spotted gum deck. 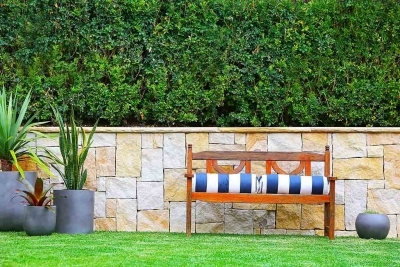 A beautiful 45m2 sandstone retaining wall wraps around the entire backyard and Murraya hedging was planted to border off the fences and soften the space. 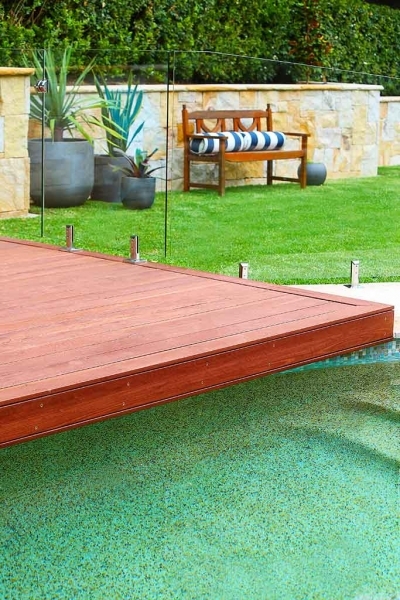 You can browse other Project examples in our online portfolio. 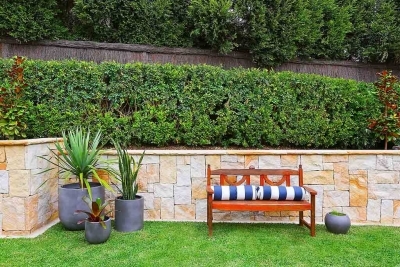 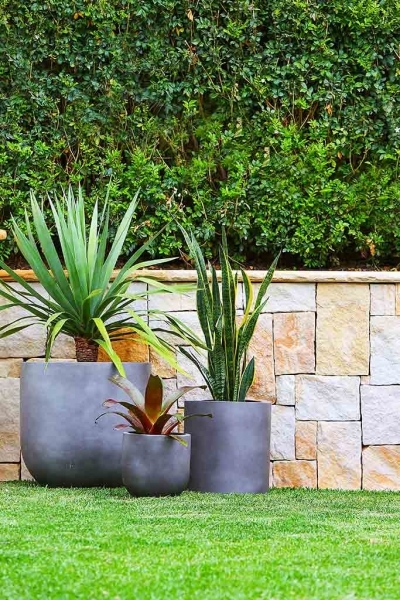 Our team of landscaping professionals specialise in turning old, dated backyards, into stunning outdoor masterpieces. If you are looking for a company that can deliver you a beautiful backyard makeover you have come to the right place, contact us today. 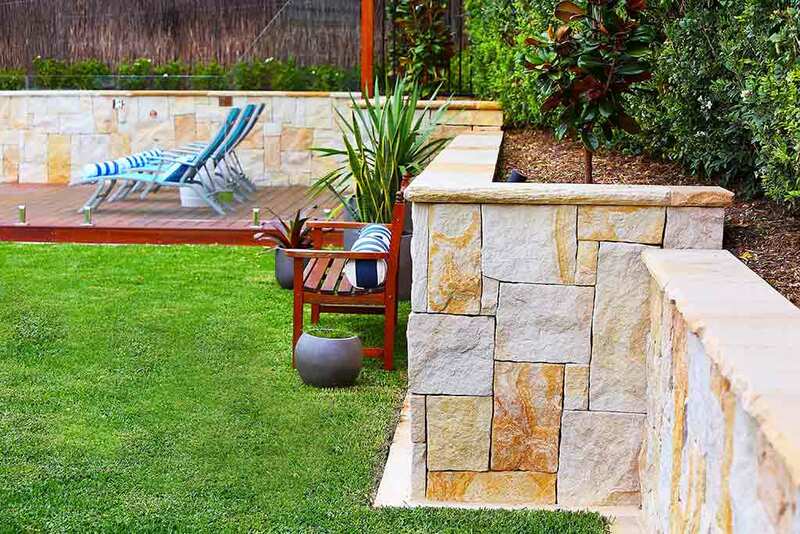 We service not only Glenhaven but all suburbs in the Sydney Metro area, pick up the phone and give us a buzz today.